Patients and colleagues lament the departure of Pauline Beale, who treated people for three generations and was known for helping those with limited vision cope. LEWISTON — Pauline Beale’s father was an optometrist who died when she was 14. She was the only woman in her medical school when she studied to become an optometrist. She’s spent her whole career in the same Lewiston practice, serving three generations of patients. And now she has started to say goodbye. Some patients don’t want to believe it. Yes, yes she is. 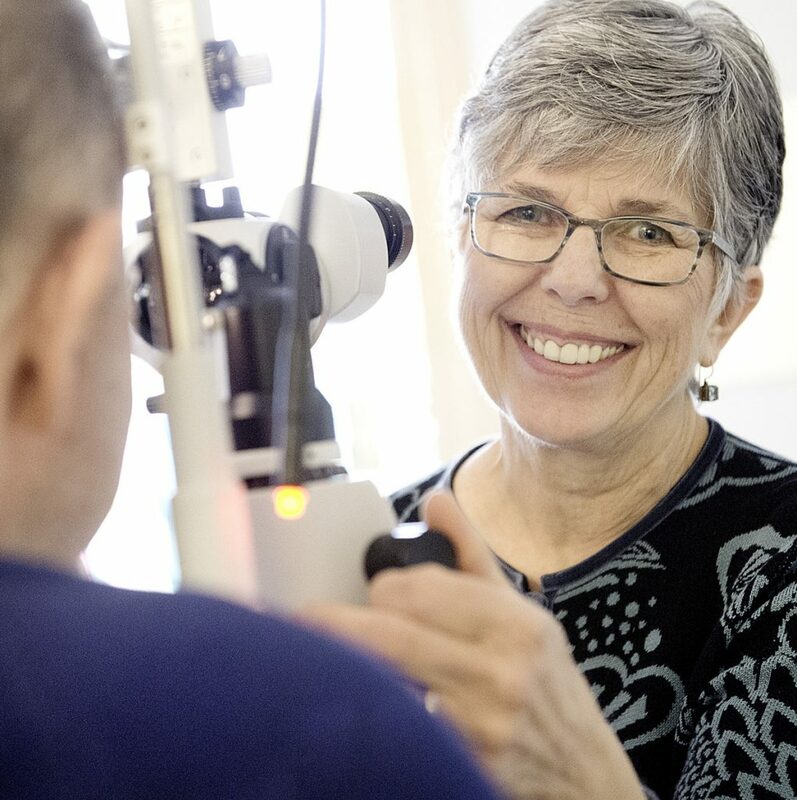 Because after 48 years as an eye doctor in Lewiston – the same city she grew up in – it’s hard to retire. “I’ve loved what I do, taking care of patients,” she said. Beale began thinking about optometry after her father died in 1961. She was more interested in art than science growing up, but her father’s career intrigued her. After she graduated from what was then St. Dominic High School, Beale focused on pre-med at Regis College in Massachusetts. She later enrolled at the New England College of Optometry in Boston. She was the only woman in the medical school, but the unique situation didn’t bother her. By the time she graduated with a doctorate in optometry in 1970, Beale had a job offer. Lewiston optometrist George Bournakel asked her to join his practice on East Avenue in Lewiston. The job would bring her back home, close to family and the community she loved. She said yes. The practice was called Bournakel and Beale. It would later change to Optometric Associates. Bournakel specialized in contact lenses, so Beale decided to specialize in something of her own. She quickly settled on low vision and partial sight. She soon became known for helping people with limited eyesight, sometimes through treatment, sometimes using adaptive devices. She often asked patients what they wanted to do most – read, sew, work, drive, something else – and found a way to get them that ability. Because of that, her patients are loyal. Some drive from far northern and far southern Maine to see her. Others have kept her as their family eye doctor for three generations. After 48 years in the same practice, she now sees the grandchildren of her first patients. “It’s special. You develop a relationship with people,” Beale said. It’s that relationship that’s made it hard to say goodbye. Beale decided several months ago that it was time to retire. At 71, she wanted to spend more time with family and doing the activities she loved, like skiing and kayaking. Her practice hired a fourth doctor and she began gradually stepping away. But a few months after she announced her retirement, she’s still seeing some patients for follow-up visits. On Monday, one of those patients was 75-year-old Raymond Bouthot, who’s been seeing Beale for years for his glaucoma. He recently developed an allergy to his medicated eye drops. “She’s excellent. The best doctor there is,” Bouthot said, after an exam that resulted in new eye drops and new glasses. Beale will continue seeing some patients for the next month or two. After that, patients will shift to specialists, doctors closer to home or other eye doctors within Optometric Associates.